TAHOE, Calif. – The North Lake Tahoe Chamber/CVB/Resort Association is accepting applications for three open seats on its marketing committee, as well as open seats on its lodging committee. The North Lake Tahoe Chamber/CVB/Resort Association Marketing Committee is made up of board members, appointed lay (community) members and a Placer County CEO representative. Lay members are selected based on marketing experience, type of business affiliation and geographic representation with an emphasis on those representing small business, event management, restaurant, retail, cross country and activity providers. The Marketing Committee seats will each serve a three-year term from January 2013 to December 2015. The North Lake Tahoe Chamber/CVB/Resort Association Executive Committee will review applicants and provide a recommendation to the organization’s board of directors at their January 2013 meeting. Individuals for consideration need to submit a letter of interest and resume to Chief Marketing Officer Andy Chapman, of the North Lake Tahoe Chamber/CVB/Resort Association, by Friday, Dec. 28, 5 p.m., via email, Andy@PureTahoeNorth.com, or by mail at Attention: Marketing Committee Application, North Lake Tahoe Chamber/CVB/Resort Association, P.O. Box 5459, Tahoe City, CA 96145. For the North Lake Tahoe Chamber/CVB/Resort Association Lodging Committee, applicants must own or operate a lodging facility in Eastern Placer County. The committee meets the first Thursday of every other month. Individuals for consideration need to submit a letter of interest and resume to Visitor Information Services Manager Emily Sullivan-Detwiler, of the North Lake Tahoe Chamber/CVB/Resort Association, by Friday, December 28, 5 p.m., via email, Emily@PureTahoeNorth.com, or by mail at Attention: Lodging Committee Application, North Lake Tahoe Chamber/CVB/Resort Association, P.O. Box 5459, Tahoe City, CA 96145. 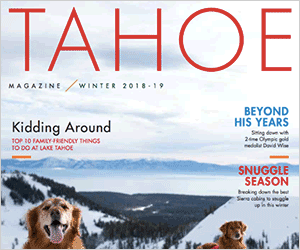 The North Lake Tahoe Chamber/CVB/Resort Association is a partner with the Incline Village Crystal Bay Visitors Bureau in the North Lake Tahoe Marketing Cooperative. The organization also serves as a partner with Placer County and other public agencies in the development and funding of infrastructure, transit and community mobility projects designed to enhance tourism and community quality of life for the benefit of all in the North Lake Tahoe region. For more information visit http://www.nltra.org.